Drug costs have increased significantly in recent years, at times even`becoming a political issue. The drugs that seem to increase the most are specialty drugs, like those used to treat chronic diseases, such as cancer. Researchers at the University of Texas MD Anderson Cancer Center have found the cost of different breast cancer chemotherapy treatments can vary widely, with little or no correlation to effectiveness. Dr. Sharon Giordana, chair of Health Services Research, says an understanding of costs should play a role in helping doctors and patients decide on a course of treatment. "The costs of cancer care have been increasing dramatically, both for the health care system and for patients. 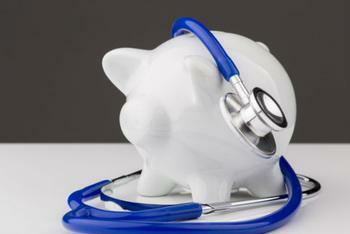 As physicians, we increasingly are recognizing the financial burden on our patients," said Giordano. "Both physicians and patients need greater access to information about the treatment costs, so this critical issue can be discussed during a patient's decision making process." Giordana cites estimates from the American Cancer Society that there are more than 246,000 new cases of invasive breast cancer each year in the U.S. Since more than a third of these patients will be treated with chemotherapy, Giordana says choosing a therapy that is just as effective, but less costly, could shave $1 billion a year off the nation's health care bill. A recent study by researchers at the University of North Carolina concluded that cancer drug inflation is a very real thing. Specifically, the researchers found that when a new cancer drug comes on the market, its initial cost is much higher than the initial costs of drugs introduced a decade or more ago. Their study determined that a month's worth of treatment with the newest cancer drugs, on the market since 2014, were, on average, six times more expensive than the launch prices of similar drugs introduced in 2000, even after adjusting for inflation. In the Texas study, researchers focused on younger patients who had private health insurance. Giordano says patients without private health insurance likely face even higher out-of-pocket expense for chemotherapy. For that reason, she says oncologists need to prescribe the most effective treatments, while being aware of the substantial financial burden associated with chemotherapy.